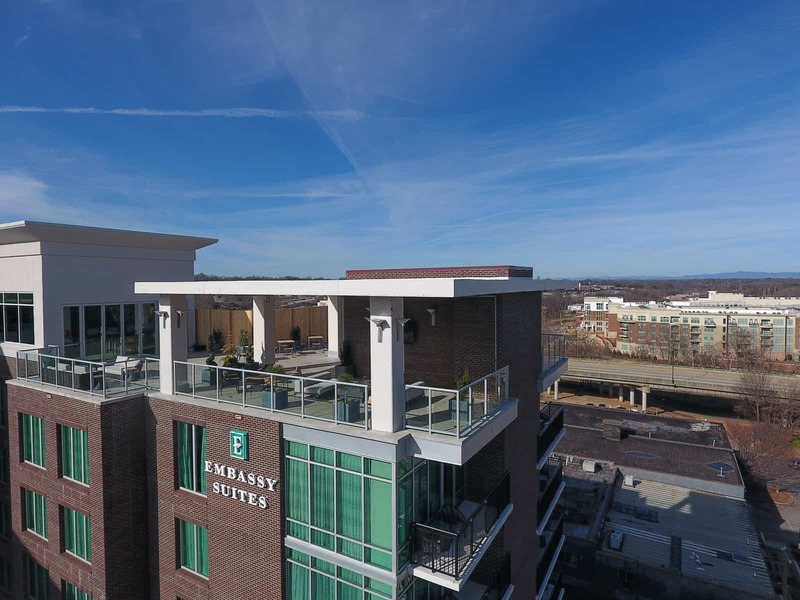 The newest rooftop experience in greenville features panoramic views of the blue ridge mountains, as well as the riverplace corridor along the reedy river behind the peace center. They offer a wide variety of small plates and entrees with local and seasonal ingredients, and make their own bottled cocktails, with or without fizz. 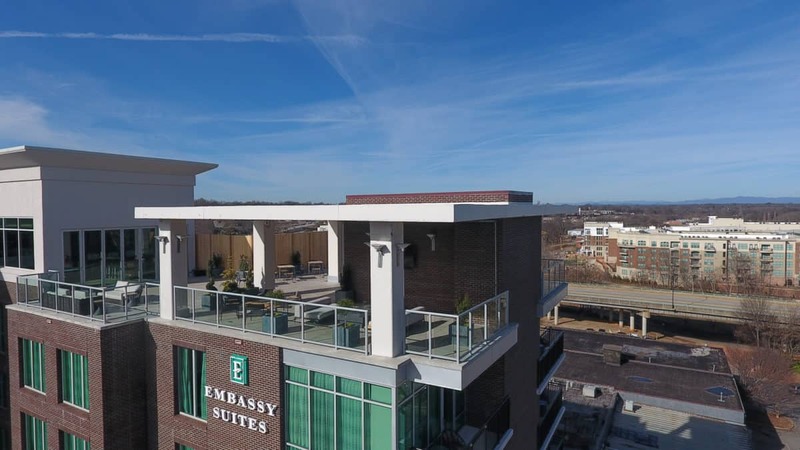 To get to up on the roof, enter the Embassy Suites lobby and take the elevators next to the reception desk. Rooftop just a few doors down from Coffee Underground. 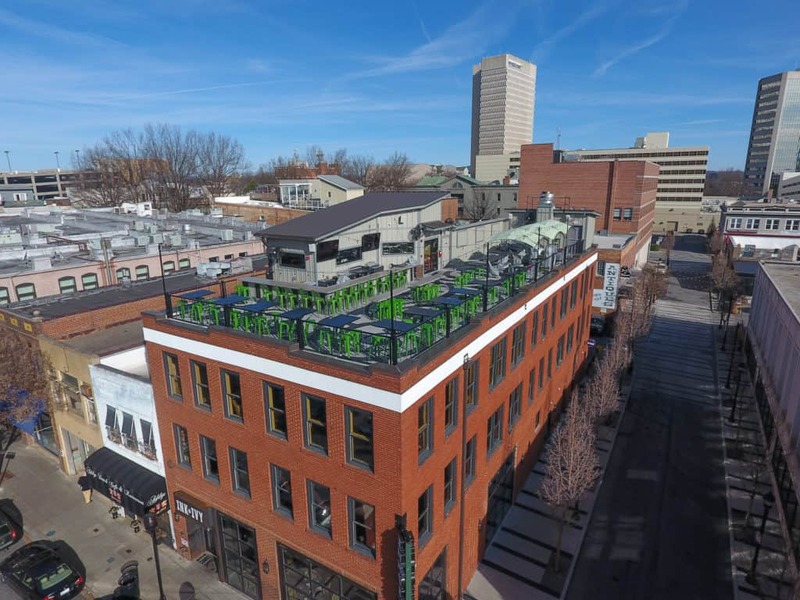 Capping off the top of their three-story restaurant located on coffee street inside the old Corner Pocket building, Ink N Ivy has great views of the bustling central business district. They offer lunch, dinner and brunch, and there’s plenty of room inside if the weather isn’t cooperating. There’s no shortage of food and drink choices here. Sip was recently acquired by the Bottle Cap Group, owners of Ink N Ivy and Brazwell’s Premium Pub and underwent a bit of a reboot on the decor and menu. 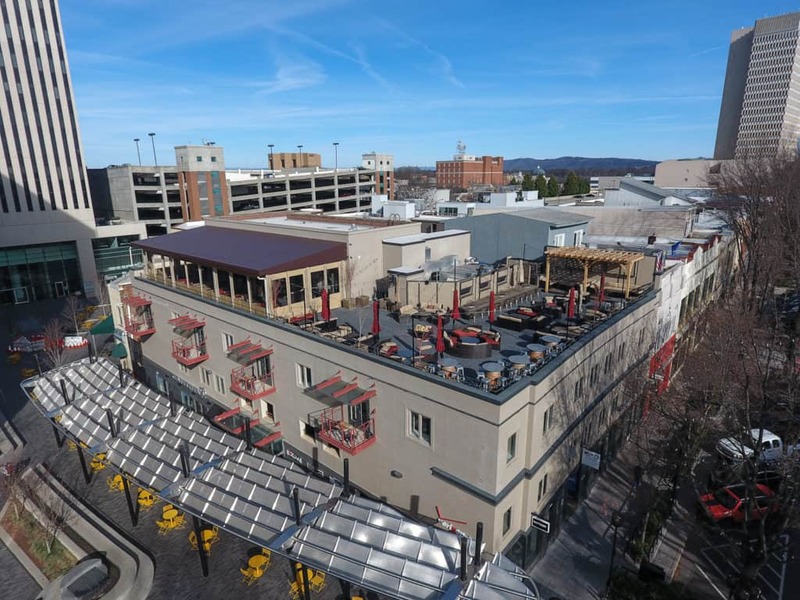 Expanding their focus from just wine to cocktails and live music, Sip Whiskey & Wine Offers a large rooftop seating area just above One City Plaza and offers Happy Hour Specials, and a newly designed menu focused primarily on shareables. 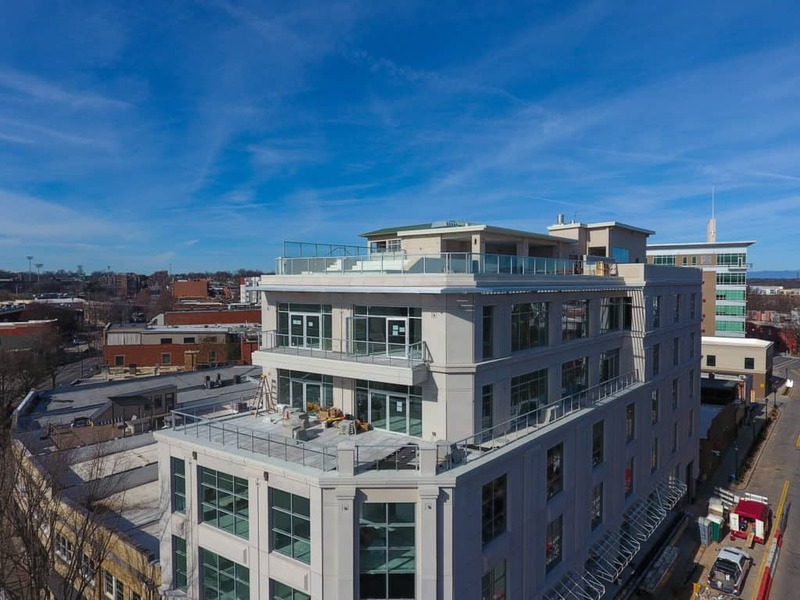 For $960/year for an individual or $1600/year for a couple, you can join this exclusive rooftop pool and enjoy the swim-up bar or tableside bar service. 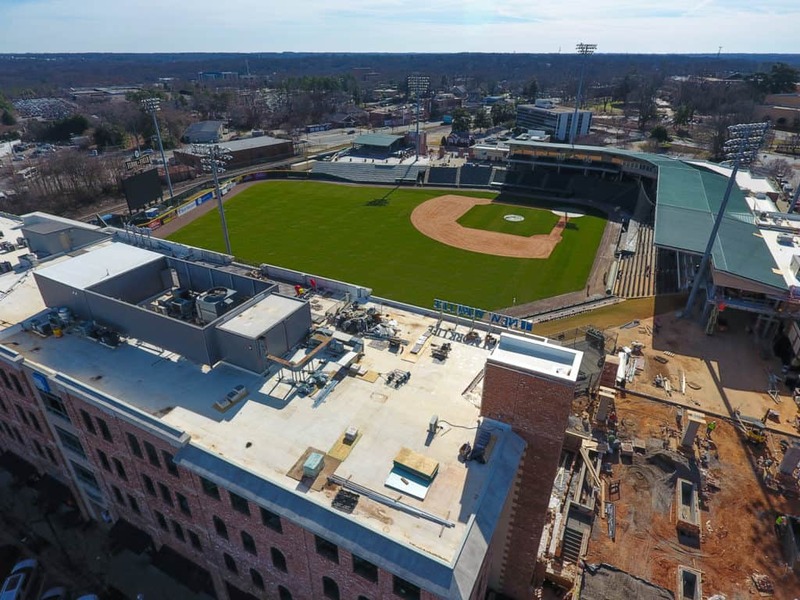 Open for the 2017 Baseball Season, the Rooftop Experience is a private venue, for groups of 50 people (minimum) up to 80 people, with an admission cost of $40 per person, which features arguably one of the best views in all of downtown Greenville. It features a full-service bar and private catering options and elevator access from the main entrance to the stadium. So maybe it’s not technically on the roof, but this balcony at the WXYZ Bar inside the Aloft hotel is pretty cool and overlooks One City Plaza, offers a variety of drinks and has ample indoor seating in the trendy Aloft Lobby. Bonus: The Aloft and WXYZ are dog-friendly! They’ve also typically got a shelter dog in the lobby that can be adopted on the spot. 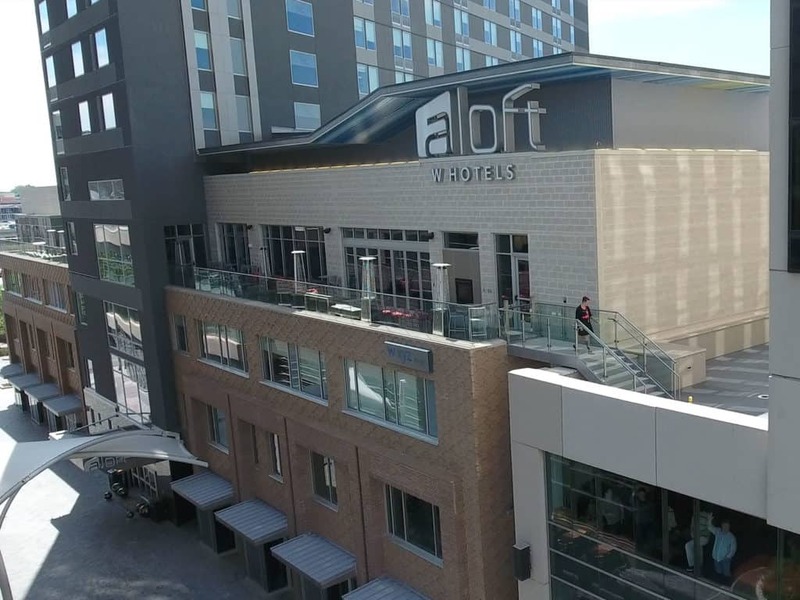 Tip: The Parking Garage for the aloft is a public garage, not very many people know this, and it’s typically pretty easy to park there, and like all city garages, the first hour is free! This private event space has the best view of the downtown skyline, and it’s huge, as in 7,200 square feet that can accommodate 400 people. Along with an indoor space that contains a full catering kitchen, and dance floor. Bonus: easy parking right next door in the Broad Street Parking Garage. City Parking Garages: Where does the money go?